Interests - Loves The Wiggles, sensory books, musical instruments, stacking blocks, sensory things like lights and music. Suffers from any developmental delay? - Yes - Aiden can understand a lot of what has been said but doesn't understand simple commands. He cannot read or talk and signs using Makaton. Aiden has Down’s Syndrome and since birth he has had many surgeries due to the fact his stomach and intestines were never connected and were twisted around his body and his appendix was on the wrong side. He has a hole in the heart, heart murmurs, large fluid pocket in one side if his brain, prolapse, and sleep apnea. 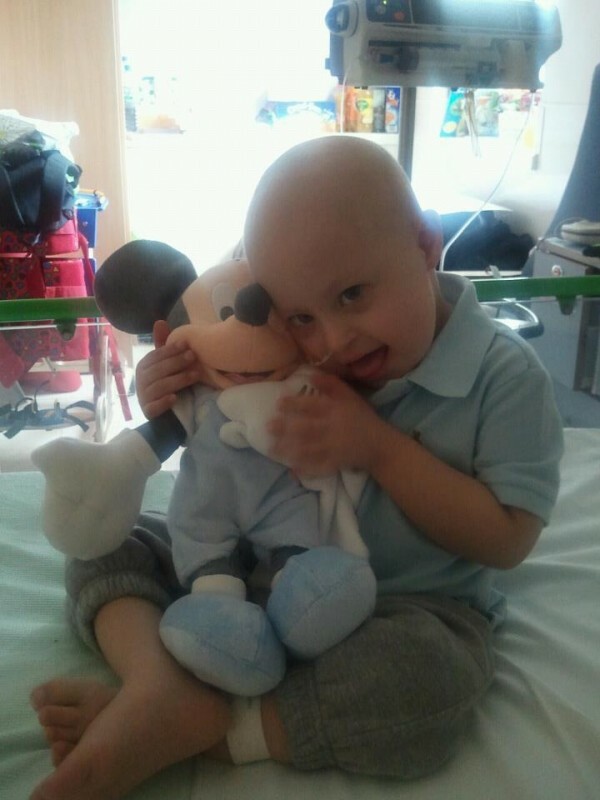 In May 2011, Aiden was diagnosed with Leukaemia (ALL) needing 3 years chemotherapy. The first lot of chemo (induction) didn’t work so he had to have 6 months high dose of it, but he only had 4 weeks out of the 6 months as he developed a severe fungal infection that spread through his organs and he spent 3 months in hospital fighting it. Aiden was taken off IV chemo as the infection was so dangerous but will restart it in July. We give Aiden oral holding chemo every day. Aiden is also tube fed into the intestines as he cannot tolerate food in the stomach and vomits, although he can tolerate a small amount of chocolate or crisps. Due to the Leukaemia and Down’s Syndrome, Aiden is very ill. Aiden also sleeps with oxygen over night. We have decided to move Aiden on from Post Pals. We feel we are good at the moment and that other children will benefit now we spend less time in hospital. Aiden has some operations coming up, but all is reasonably good right now, and as you have helped us so much we feel it is time for other families and children to get the support we have received. We love Post Pals they make Alfie feel special as Aiden gets so much attention. He also says that his Pals are his best friends which I think is lovely. Alfie loves his Pals Louise and Carli, and they always send him amazing gifts. Thank you so very much for making Alfie feel just as important. He met them at Aiden’s party recently and gave them massive cuddles and kisses. The boys have also just received some amazing gifts from Florida and also a beautiful card. A massive thank you to Bernadette Vehec and her family. The gifts are so lovely and I feel really touched by her card for me. Thank you. Aiden has finished treatment but has still been ill on and off. Post has always cheered him up so thank you so much. 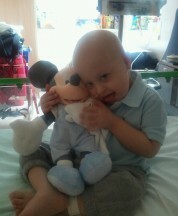 Aiden is coming to the end of treatment but needs tests to see if he has a virus in his bone marrow now. However, we have got through over 2 years and we can get through a few more months. The boys still have great post pals and they make Aiden and Alfie happy. Alfie’s post pals are amazing and send a gift each month and we keep in contact which is lovely. Alfie knows them by name and we send them pictures. Aiden is still on chemo. He is losing weight and is poorly from vomiting, but he is still plodding on and being amazing. I think you do an amazing thing at Post Pals – everyone behind the scenes and those who give up their time. Thank you to everyone, as always, for the amazing things you all do and for the post. The boys both loved their books. Aiden has had a very hard year this year, he was admitted to hospital New Years Eve with bad infections to his jedge tube, and he needed sedating just to change the dressing as he was in so much pain. He was discharged but admitted again with another infection. We ended up having to have an important emergency meeting with gastro at GOSH and they rushed him in to operate and remove the tube part of the bowel to get all the infection out and put in a new peg. The chemo has started again and made Aiden vomit and get mucosistus (not nice). Aiden then became very ill again and ended up in hospital a few more times with illness and neutropenia, temp spiking, vomiting. He has only got better last week. So we are hoping things start looking up and give him a break. We find Post Pals an amazing group of loving caring people who never fail to make my boys smile, even through the toughest times. We have received loads of lovely birthday cards for Aiden and Robin sent Aiden lovely gifts for his birthday. Thank you to everyone.